Mullah Mohammed Omar, the Amir al Mumineen (“the commander of the faithful”) of the Afghan and Pakistani Taliban. The battle for hearts and minds in Afghanistan has taken a new turn in the past two months. The Taliban’s supreme leader, Mullah Omar, has ordered his forces to kill or capture any civilians, including Afghan women, who cooperate with Coalition forces. Omar’s latest directive contradicts his marching orders from just one year ago, when he told his Taliban commanders to refrain from harming civilians working with the Coalition. Points 2 and 3 are a dramatic about-face for the Taliban leader. In the summer of 2009, Omar issued a Code of Conduct for Taliban forces that explicitly commanded his shadow governors and other Taliban leaders to do the opposite. “Governors, district chiefs and line commanders and every member of the Mujahideen must do their best to avoid civilian deaths, civilian injuries and damage to civilian property. Great care must be taken,” the Taliban’s Code of Conduct reads, according to a translation available on al Jazeera’s web site. Coalition military officials have been quick to cite Mullah Omar’s most recent order, highlighting its impact on the Afghan people. On Tuesday, ISAF issued a press release describing a Taliban attack in which six Afghan civilians were killed, two more were wounded, and an Afghan government official was kidnapped in the Siahgird district of Parwan province. A July 19 news release on the Defense Department’s web site includes a summary of Mullah Omar’s order that is nearly identical to the language cited above. In that release, ISAF spokesperson Brig. Gen. Josef Blotz references Mullah Omar’s five-point directive in the context of another attack on Afghan civilians, pointing out that the 2009 Code of Conduct is apparently no longer binding. “This [order] proves the Taliban are willing to ignore their own Code of Conduct when they sense they are losing influence and control, as today’s attack [July 18] against several Afghan civilians [who] were killed and injured by a suicide attack in a residential area in Kabul today demonstrates,” Blotz explained. The Taliban’s use of suicide bombers against civilian targets, highlighted in the July 19 DOD release, is another reversal in Taliban policy. The Taliban’s 2009 Code of Conduct called for limiting the use of suicide bombers in attacks against civilians. “A brave son of Islam should not be used for lower and useless targets. The utmost effort should be made to avoid civilian casualties,” the document reads. Up until Mullah Omar’s June directive, it was widely thought that the Taliban would try to limit civilian casualties in order to compete with ISAF’s counterinsurgency strategy. American-led forces in Afghanistan treat the Afghan populace as the center of gravity and are trying to win their support by limiting civilian casualties and extending good governance. The Taliban, as evidenced by its 2009 Code of Conduct, initially adopted a similar strategy. But Mullah Omar has now abandoned that effort in favor a more violent course. It remains to be seen whether Omar and the Taliban stick to the new strategy, or revert back to a more civilian-friendly approach. If you believe in COIN doctrine then this is a very bad move for Taliban inc. Seems it would only be a bad move if the coalition\ana\anp could provide sustained security\protection from such in a given area. Thank you, oh great cave-dweller, cross-dresser and one-eyed cyclops mullah omar. Maybe now, the world will face up to who the real war criminals are. One might conclude that this change in tactics is due to some success on the ground of US and NATO forces. Although, I’m assuming a large amount of naysayers may think this is a Black PsyOps campaign by coalition forces. Time will tell. Although, this shift in tactics, as it appears to have occurred already, may showcase a certain sense of desperation by the Taliban to engage the “enemy” and inflict more casualties in hopes of an earlier American and NATO departure. Thank you for such a great resource. I read your tweets and blog often. Just another example of the Rule of Unintended Consequences as a result of providing a withdraw date to the enemy. Providing a withdrawal date to the enemy is exactly what happens when a war is run from Washington. The Taliban hanged a 7-year-old boy to exert its control over a village several months before this supposed policy change. Reports of such gruesome incidents spread widely by word of mouth. Moreover, Afghans have not forgotten the Taliban’s brutal and barbaric regime during the decade prior to 2001. Hence, the notion of “friendly” Taliban/AQ fighters was undoubtedly too difficult to sell to the public, making it difficult to enlist active support from them. Conversely, ensuring Afghans don’t actively support ISAF troops is far easier. Mulluh Omar’s directives simply acknowledge existing practices. The Taliban have reverted back to type — if they ever changed. They well understand that terror and intimidation against the general population, particularly those aiding ISAF, are extremely effective counter-COIN tactics when ISAF and Afghan forces are too sparsely distributed to credibly offer protection to those who support them. Unless their numbers expand, Petraeus may be unable to change the course of this war as dramatically as he did in Iraq. A proven strategy will nevertheless fail without sufficient resources. Mullah Umar would never call Puppet regime of Karzai The Government of the islamic Republic of Afghanistan…..USA needs to improve its psywar department. Getting an extended withdrawal date of 2014, for US troops, has to be confusing and disappointing for the Taliban. The 2011 pullout date has diminished almost to the point of irrelevance. The Taliban finds it has an enemy that is so indecisive, it can’t even agree a timetable for losing the war. In the mean time, I guess they’ll just have to take their frustrations out by blowing up a few more hapless Afghanis and Pakistanis. The enemy has become desperate, and in their desperation they have become stupid, lashing out blindly at innocents. A real recipe for success in Afghanistan, if the Soviet experience tells us anything. Interesting. No Sharia court, no law? Who says someone is guilty of cooperating? Some wild eyed jihadi in the field armed to the teeth can just grab anyone he wants, accuse them and execute them on the spot? All because some Mullah says so? And women? These crazed killers can kill any women who resists their advances or kill them after they have had their way with them so they can’t tell anyone. Dictator Mullah Cyclops does have a distorted world view. Of course, that what he was doing when he was running Afghanistan too. This whole war is on his head too. He CHOSE to defend Bin Laden. His choice has resulted in how many deaths of Taliban, Coalition forces, and innocent civilians? And yet he’s safely hidden by his fellow creeps. By islamic definition, people cooperating with enemies of islam are not civilians. Besides, killing civilian sympathizers of the enemy works just fine, if the enemy refuses to do the same, and cant prevent her sympathizers being killed. View S-Vietnam until the Phoenix program. In other words: this is a perfectly sound tactic for the Taliban. This on the heels of Wikileaks providing a list of civilian “collaborators”. Evil. You are absolutely correct. The change in directives reflects the idea that the Taliban can see the light at the end of the tunnel. If they can use fear to stop Afghans from helping coalition forces and just ride out the bad press over this announcement, they will be better positioned to move into power once the U.S. withdraws and leaves a security vacuum. It will only reinforce to the local population that the U.S. won’t be there to help them out when it is all said and done. Sounds a lot like the situation with the Montagnard after the U.S. withdrawl from SE Asia. sums it all up really, they never wanted to protect civilian targets out of love for them, they wanted to save teh fighters they had or more high profile targets. 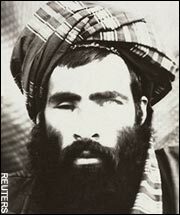 hillbilly, don’t forget that your Mullah Omar has only one eye. Besides, unlike you, he is illiterate. The literates are equally dangerous for they lend credibility to the evil, as is seen in your attempt. The US needs to stop buying you your beers, thats what they need to do. Your Pakistan is the mother of all parasites. You’re under the microscope now even if Mullah Omar has lost his. Well they were not listening to your last direct Omar not to kill civilians, so at least this will cast the appearance that you are in fact in control of the regional commanders and shadow governors. Hmmm… considering that the ANA is expanding by almost 300 troops a day I think they may be somewhat scared. Seems to indicate the militia program is doing much more good than bad. The Taliban hates it. At any rate… the next few years will be exciting. Will the West stay long enough for the Afghans to have half a million or more troops and police? If this is indeed genuine (and hillibilly’s point it seems to me is a good one) it is quite clear that Omar is talking about killing informers and collaborators. It is extremly misleading to make out that Omar is calling for the Taliban to attack Afghan women and civilians as per your headline and story. Geoff, don’t you think it odd Omar said Women then and not “informers” or “collaborators”? He seems to have a thing about “women” in particular. Anyways, I’m glad to see you here on LWJ…it’s an important site to follow. geoff sorry to say this but it is with your comment that you are trying to mislead us. And your choice of word “extremely”!? Wow!!! Hyperbole doesn’t help confusion. Getting back to basics does. Bill Baar thank you for your comment. I had to re-read the story after geoff’s attempt to confuse us. If Geoff is who I think he is, he and I have been going back and forth now over a great many words. I’ve quoted LWJ many times as the place to go for information. I’m glad to see Geoff here. As for whether Mullah Omar really writing here, or if this ISAF psyops, well, the Taliban have a ugly way of confirming their words with videos. Sadly time will tell. As a PS, the Times cover this week should give some insight. Tsk tsk… its so punilicious when people get up to conspiratorial accusations. I agree its uncharacteristic for the Taliban to use the actual name for Afghanistan and not hyperbole, but it may very well be that he wished for no confusion by using their official name (not to mention constant hyperbole is draining on both its effect and its user). At any rate Bill R. has shown himself many times to be above misleading. Personally I believe this is real, though I’m not averse to a tiny possibility it is psyops I find it very unlikely because itd be too damn obvious and it would immediately be rejected by the Taliban leadership. As for getting back to basics as Bill Baar says… does the Taliban target women and children? Yes it does. Therefore this is no shocking statement and likely to be true. The main argument is still that they’d deny it though. They have not. Yet the order as reproduced here clearly refers only to collaborators and informers, whether they be men or women. Please, tell me what I am missing here? Some really good points here. Zeissa your point about the chief-terrorist wanting “no confusion by using their official name”.is a very perceptive one. As is the lack of refutation. As i see it, all put together it puts paid to what hillbilly and geoff would like to believe. Dangerous these people who would like to hand power back to evil. This is a surprise to you? How many of you have Afghan friends living here in the states? OF COURSE it happens. Every day. For every psychotic bad cop(or soldier) here in the states there is a psychotic “warrior” there thinking they’re doing their jobs. was it something new that the taliban do not worship “innocent” women like we do or the mere fact that they do not care about them is a most tormenting fact?